Leave a phone number. We will call you back! A stunning pictorial celebration of one of the most beloved First Ladies of our time: Michelle Obama. 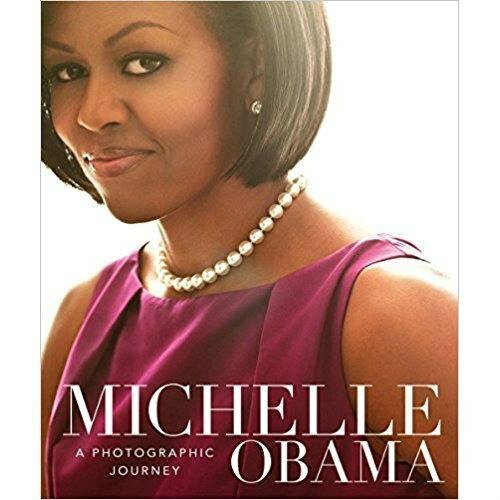 With 140 photographs, inspiring quotes, and excerpts from five historic speeches, this gorgeous volume pays tribute to Michelle Obama. Although it primarily focuses on 2007 to 2016, the book covers the pre-White House years, as well: her childhood, her time in college and law school, her work as a young professional, her marriage to Barack, and her experiences during his first campaign. It also explores her family life; celebrates her -First Lady Firsts-; looks at her TV appearances and official trips; details her main health, social, and education projects; and presents her as the glamorous, fashionable First Hostess at State Dinners and other events. Fans of Michelle will treasure this keepsake of a trendsetting, socially conscious, and powerful First Lady.